It was indeed another day of Pentecost when the General Evangelist of Christ Apostolic Church Worldwide, Prophet Hezekiah O. Oladeji met with church planters, Prophets, Prophetesses, male and female Evangelists of Akinyele Region on Monday September 8, 2018. The programme which was held at CAC Oke Igbala Ketu DCC Lagos was also attended by some notable DCC and Zonal Superintendents in the mission. Prophet Hezekiah charged the congregation on why they need to be empowered for the task ahead of them and the importance of holy living. 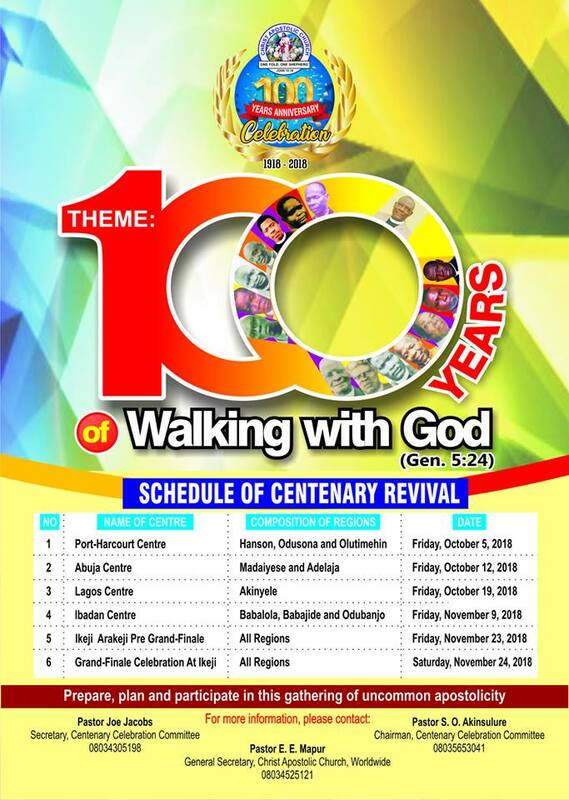 He also ceased the opportunity to enlight them about the next week church planters, Prophets, Prophetesses and Evangelists conference in Ikeji-Arakeji Osun state. 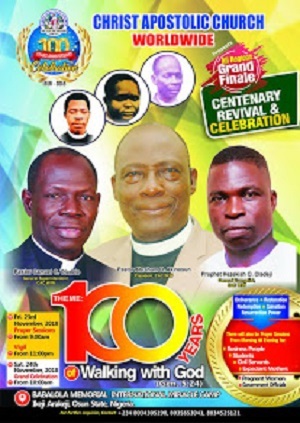 Prophet Hezekiah also solicited for their full support towards the success of Akinyele Region Centenary Revival holding on Friday September 19, 2018 at the National Stadium, Surulere Lagos.